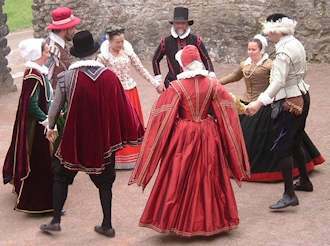 We are a dance group that specialises in teaching and portraying domestic and social life during the renaissance in England from its early days in the fifteenth century until the English Civil war. We practice weekly and participate in a wide range of events at historical buildings, museums and at corporate events, private parties and weddings. Our site contains information about our group, our events, and historic dance.